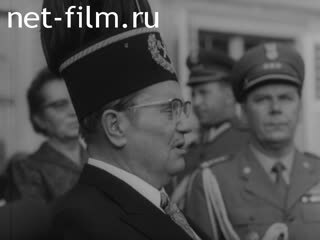 Poland - Visit of Josip Broz Tito. Meetings with Polish leaders. Types of Warsaw.